Across the Bacolod City Plaza is the San Sebastian Cathedral at the heart of Bacolod City, Negros Occidental, Philippines. 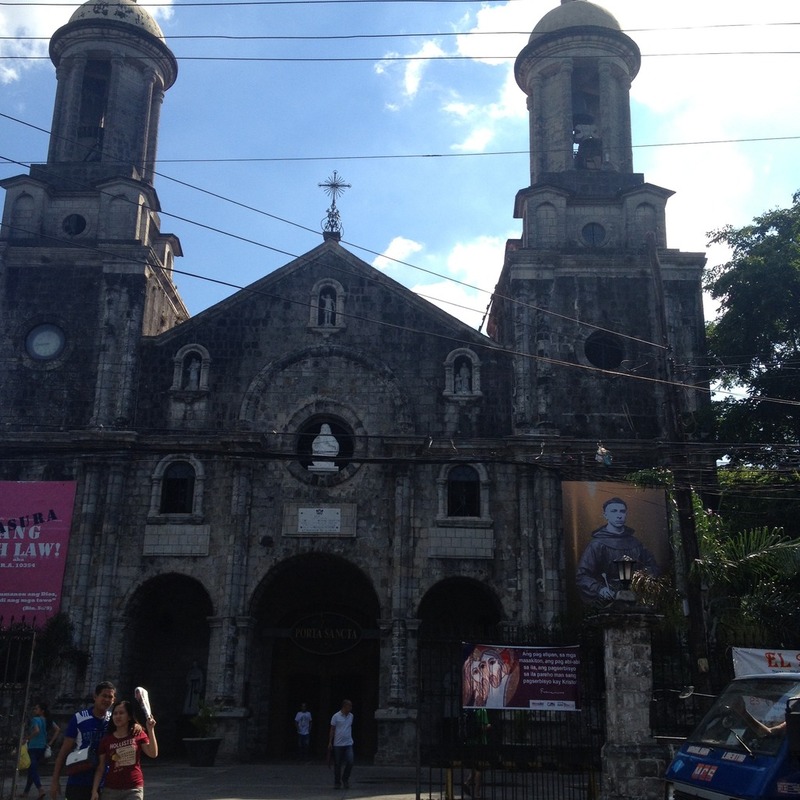 This cathedral is the seat of the diocese of the Roman Catholic church in Bacolod. The diocese covers the cities of Bacolod, Silay, Talisay, Victorias, Bago, and La Carlota as well as the municipalities of Hinigaran, Murcia, Enrique B. Magalona, Pontevedra, Pulupandan, San Enrique, and Valladolid. The current stone church was built starting 27 April 1876. It was consecrated on 19 January 1882. Materials used in the construction were hardwood lumber sourced from Palawan and coral stones from Guimaras. 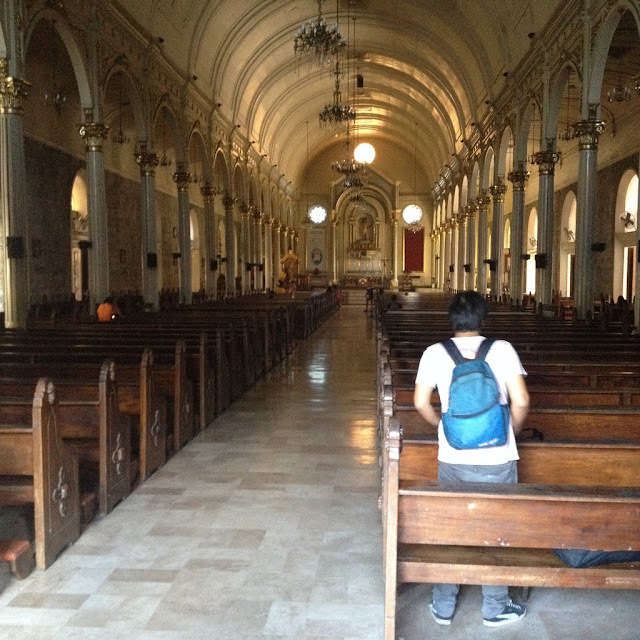 It was only in 1993 that the church was declared a cathedral when Bacolod became a diocese. The old church bells of the San Sebastian Cathedral are no longer put up in the bell towers. Instead, it is displayed on the church grounds, a security risk I may say. Such antique could command some value. Storage and safekeeping must be improved for these two artifacts. The bells were moved from the original belfry during the cathedral's centennial celebration in 1976. 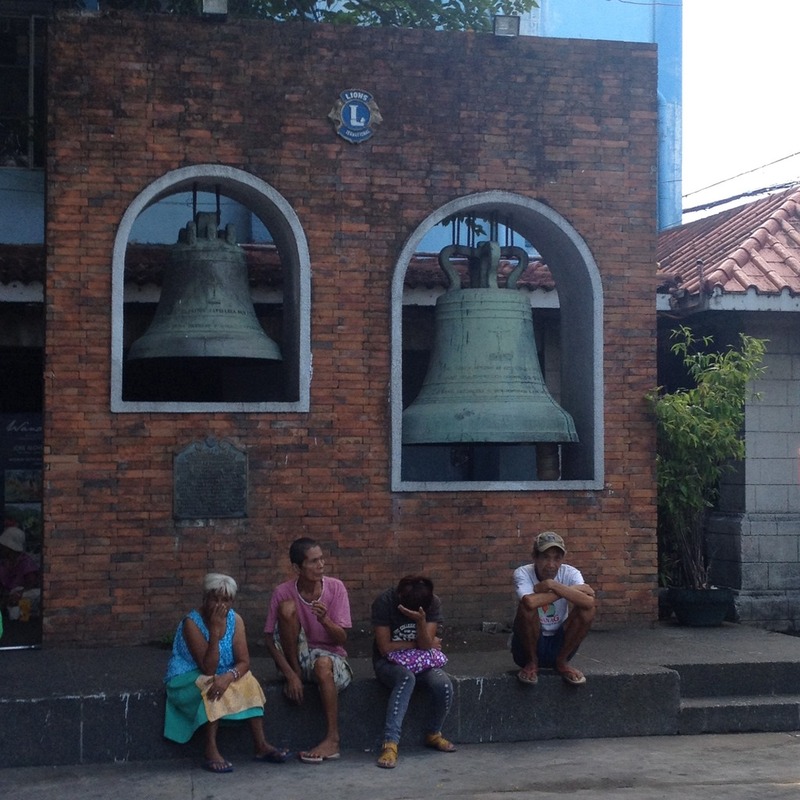 Prior to that in 1969, a bell was removed when the bell towers were declared a public safety hazard by city engineers. The present bell towers of the cathedral are not originals. They were reconstructed in 1976. Amazingly, they seem to blend in with the old structure. One of the bell towers has a large clock on it. While most Spanish-era Roman Catholic churches in the Philippines are constructed in the form of a crucifix, this is not true for the San Sebastian Cathedral in Bacolod City, Negros Occidental, Philippines.